It’s no secret that worrying makes it a lot harder to concentrate. How many times have we all ‘zoned out’ and not heard a single word that someone standing right next to us may have said when our minds were somewhere else. Work is no exception. Worry causes a loss of concentration. 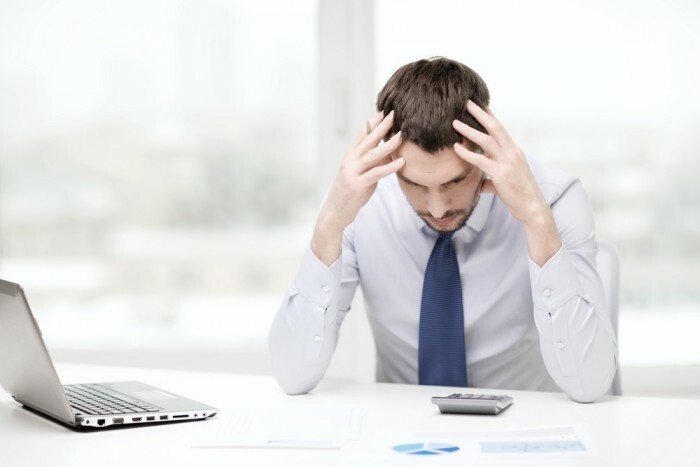 The impact financial worry has on work is estimated to cost employers 12.4 days in lost productivity each year according to WTW, a U.S. benefits firm. It’s called ‘presenteeism’, a ghost-like situation where employees are physically at their work desks but their minds are elsewhere. Loss of concentration is just one manifestation of financial worries. However, there are far greater health concerns for those that worry excessively about their finances. 44 percent of people that reported high financial stress also reported having migraines compared to just 4 percent with low financial stress according to research conducted by AOL. 27 percent of those with high financial stress suffered from ulcers and digestive tract problems compared to just 8 percent of those that did not worry about finances. 23 percent with financial worries were diagnosed as depressed compared to 4 percent that did not report financial worries. Employees with a major depressive episode will lose 15 percent to 20 percent of their productivity in a given year. Despite the current economic recovery taking place in Ireland, the level of personal financial distress is acute. For example, over 60,000 mortgage holders have arrears of 90 days or more where borrowers are bound by a series of strict spending controls under various arrears guidelines. Additionally, borrowers in arrears are subject to higher rates of contact from their lenders. But it is not just mortgages. Tens of thousands of credit union borrowers in arrears are subject to regular contact by credit unions and collections agencies seeking debt repayments. Financial literacy campaigns that provide clarity to employees on a range of financial topics help reduce stress. This is achieved by providing budgeting structure, tips on money management and ways to increase income and reduce costs. Global brands operating in Ireland are now leading the way on employee benefits through innovative Employee Benefit Programmes (EAP). Such programmes include topics ranging from stress control, diet and weight management. But the most popular topics among employees is money management where employees are provided workshops that advise on financial negotiation, spending control, tips on reducing costs along with all-day financial stress management. The workshops, in conjunction with MoneyWhizz are available nationwide.